Dive into a healthy lifestyle with Magnesium Lotion for muscle aches and pains, Skin Relief for windburns, scrapes, and dry skin, Lotion Bar for hand, cuticle, foot, and moisture protection, and the Magnesium Plus Stick for on-the-go relief! The ultimate body care collection! Soak, cleanse, exfoliate, moisturize, protect, and nourish your skin. Enjoy cleansing, exfoliating, and moisturizing every day. Exfoliate, moisturize, and protect your skin. 55% of Americans are deficient in Magnesium, according to the FDA. As a result, some people experience eye twitching, leg and foot cramps, muscle pain, migraines, and more. Magnesium Lotion to the rescue! Enriched with organic ingredients like aloe, sunflower oil, jojoba oil, and magnesium, this amazing lotion is a true necessity! Use the Naturally Unscented or try the Peppermint Essential Oil to add invigorating benefits! Our world famous Lotion Bar enhanced with Magnesium, Peppermint, Sweet Basil, Lavender, and Frankincense in a convenient easy to use stick. 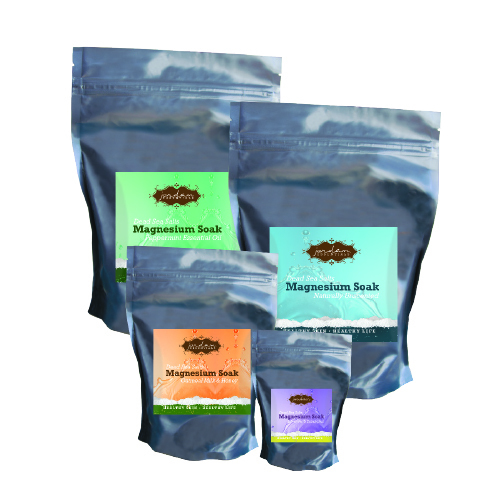 Easy to use on areas that need extra magnesium and anti-inflammatory essential oils. After workouts or simply a stressful day, this therapeutic soak can be your best defense against muscle aches. Benefit from many minerals derived from the Dead Sea! Revive and relax tired muscles and sleep better thanks to the great combination of magnesium, potassium, and calcium. Made with beeswax and natural oils, your hands and feet will be soft and beautiful! Simply place bar in your hands, rub, and go! Shea Butter and sunflower oil create the perfect everyday lotion enriched with aloe. Follow your body care regimen with the finishing touch of our amazing Shea Body Butter which helps damaged skin. Shea from Central Africa helps eliminate ashy, dry skin as well. For radiant gorgeous skin, exfoliate and polish with our custom blend of natural oils and salt. Refreshing body spray leaves your skin hydrated and fragrant and adds that "extra perk"
Unique, talc-free body powder made with superfine natural corn and comfrey root. Leaves skin feeling soothed and refreshed. Use daily on a buff, brush, or sprinkle on skin. Great before and after workouts to help with perspiration. Creamy soap at your fingertips. Safe and effective for your family. Use the Foaming Hand Soap Refill to refill your Foaming Hand Soap twice! 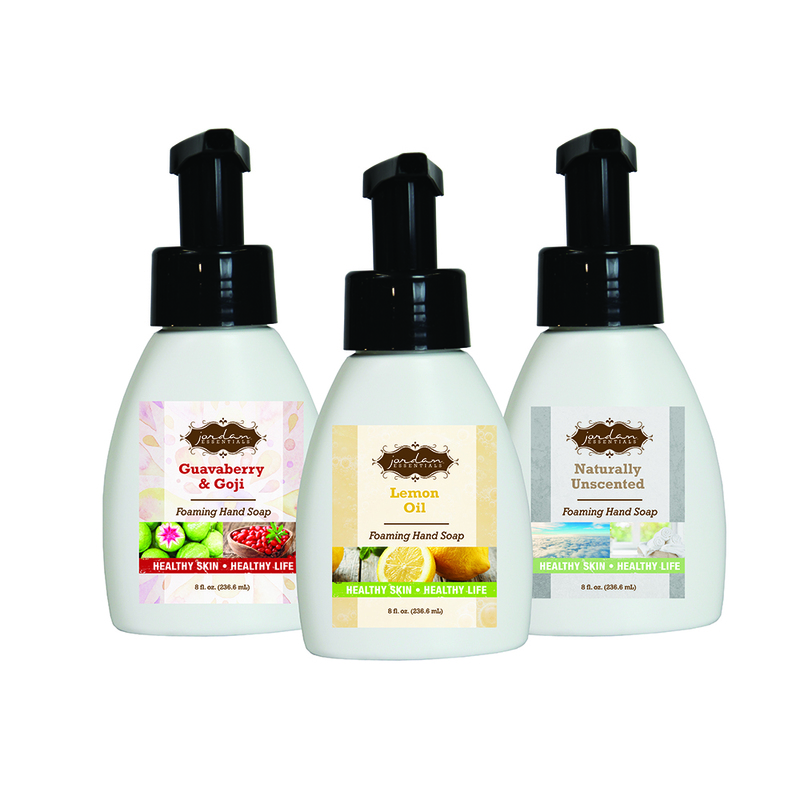 Family friendly formula that is DEA and Paraben free and safe for every sink in the house! Enriched with aloe for a complete clean without stripping natural oils from your skin. Aluminum Free and effective odor control. Available as Naturally Unscented or with Lavender, Tea Tree, and Peppermint Essential Oils. 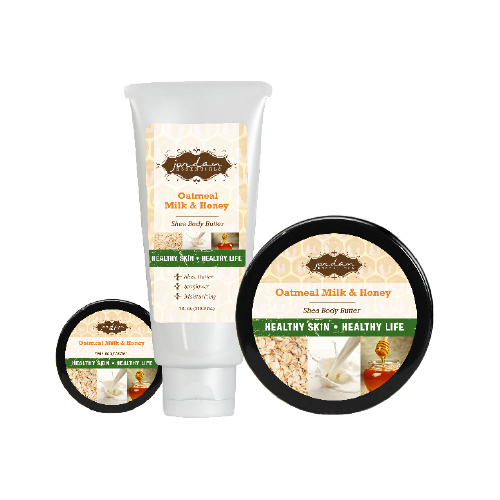 Chamomile, Aloe, and natural odor reducers with our popular fragrance Oatmeal Milk & Honey. Vitamin E for moisture with Green Tea and Aloe to offer a non-drying formula that's safe for the whole family. Packed with Organic Shea Butter and Sunflower Oils, Kosher Salts, and super fizzy healthy ingredients you will want to soak every night! Available in Yoga Splash. The only safe tanner working with the natural sugar in your skin to gently warm your complexion. Enriched skin care lotion perfect for family skin care challenges! A proprietary blend with nutrient rich Aloe, Green Tea, Seaweed, Chamomile, and Vitamin E. This emollient, thick body lotion is enriched to soothe and care for even the driest skin. Super powered with Shea Butter to help skin reduce inflammation. Smooth on all those rough skin areas and enjoy a truly soothing skin relief. Super powered Shea Butter Lotion infused with Eucalyptus Essential Oil is the perfect combination to ease chest congestion and clear respiratory tracts. Apply to chest in slow circular movements for intense relief from cold and flu season. Low foaming, effective and packed with conditioning nutrients. The Unscented healthy care line offers a formula which is a perfect base to add essential oils customizing your hair care needs such as a tea tree or orange. See your Consultant for ideas today or your can simply wash and go! Perfect for most people in your family over the age of 5. The Everyday Shampoo is an excellent formula that is safe and effective for daily use. Extra nourishing for dry or color treated hair. Enriched with Argan Oil for healthy hair. Leaves your hair clean and not weighed down. Packed with botanically rich ingredients to support healthy hair. A light weight formula that is a "heavy weight" conditioner with Pro B vitamins, shea butter, aloe, and jojoba oils. Moisturizing and hydrating without weighing your hair down. Light-weight and long lasting. Use to tame frizz. Put a small dab of styling gel on your fingertips and rub your hands together to evenly coat your hands. Rub gel into your hair and style away! Peppermint to invigorate and Shea Butter to soothe tired feet! A Lotion Bar in a stick! Use all over your feet and massage to seal in moisture. Scrub away dry skin and rough heels with natural pumice, salts, and walnut shells to create softened, beautiful "happy feet." Calm and soothe your baby with Orange and Lavender Essential Oils, a safe, baby-friendly formula. Kid Approved Scents, Mom Approved Products! A classic masculine fragrance with notes of Bergamot, Musk, and Sandalwood.